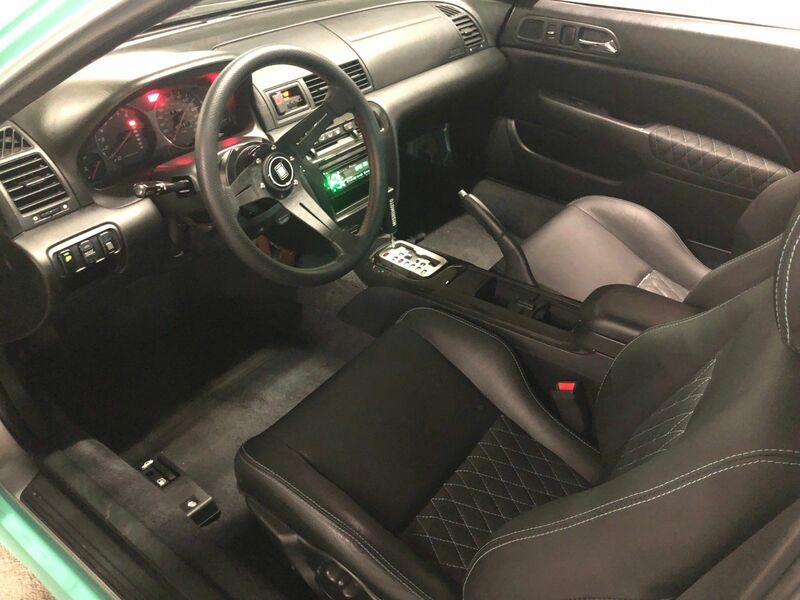 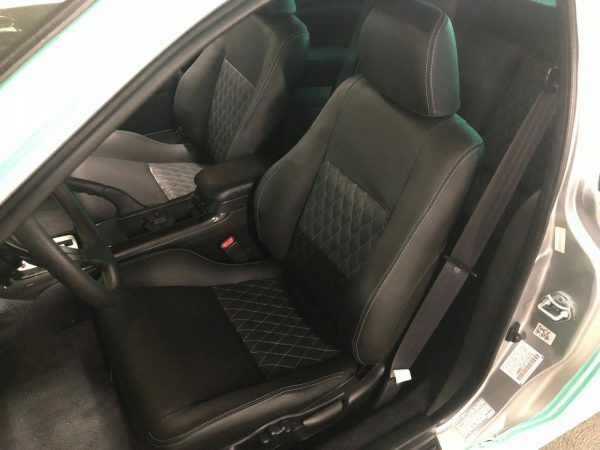 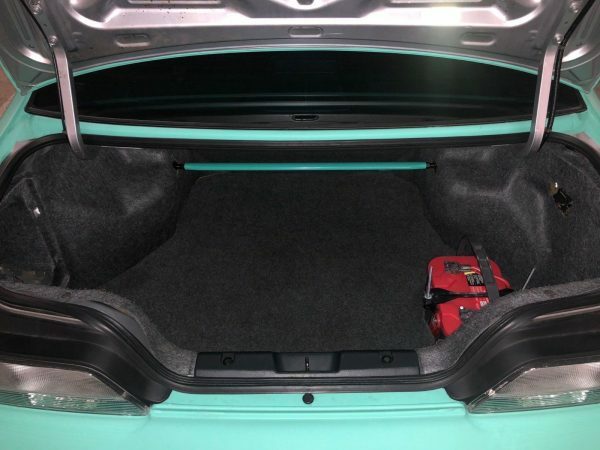 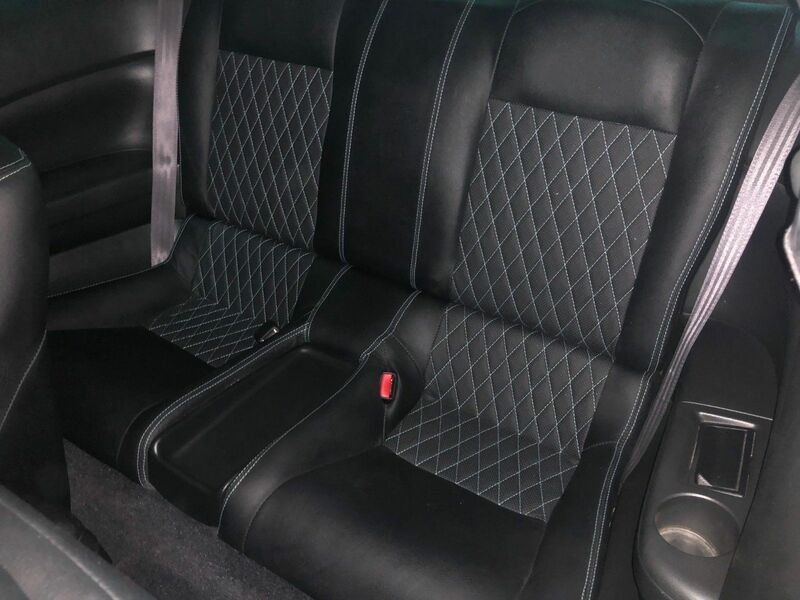 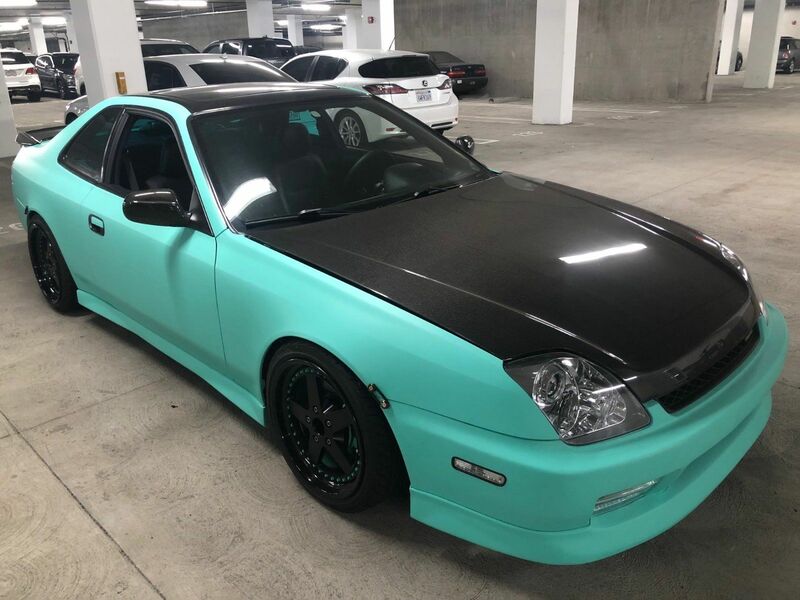 This 2001 Honda Prelude is for sale on eBay in Walnut Creek, California with a current bid of $3,075 and the reserve not met. 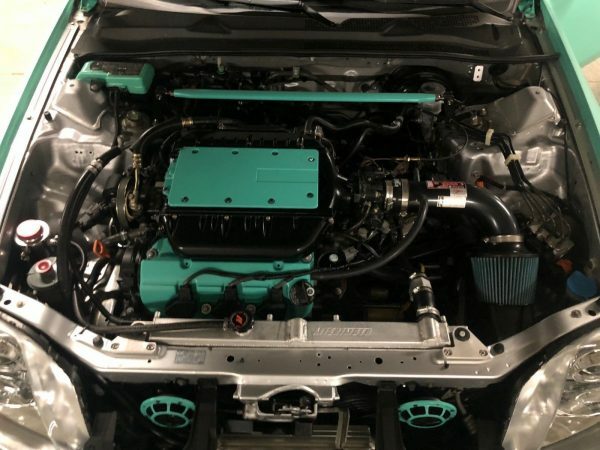 Under the carbon fiber hood sits a 3.2 L J32A1 V6 that makes 225 horsepower and 217 lb-ft of torque and five-speed automatic transmission from a 2001 Acura CL. 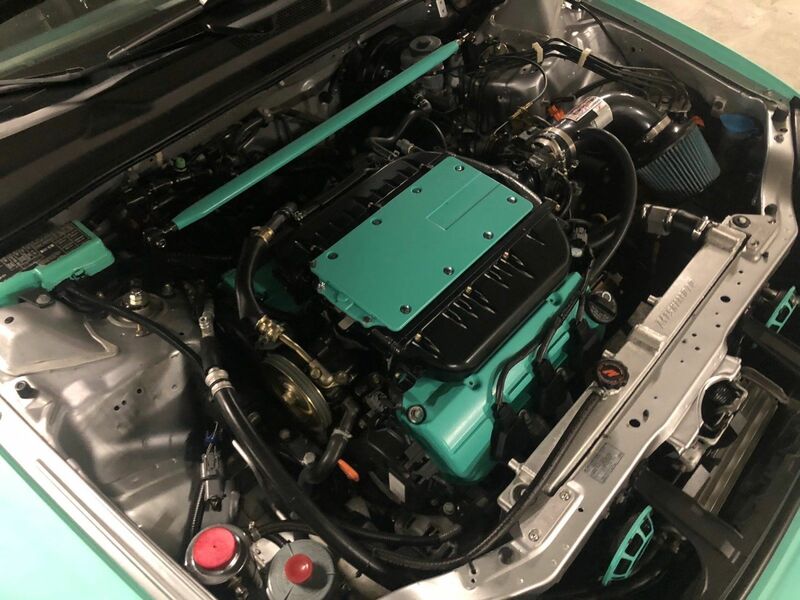 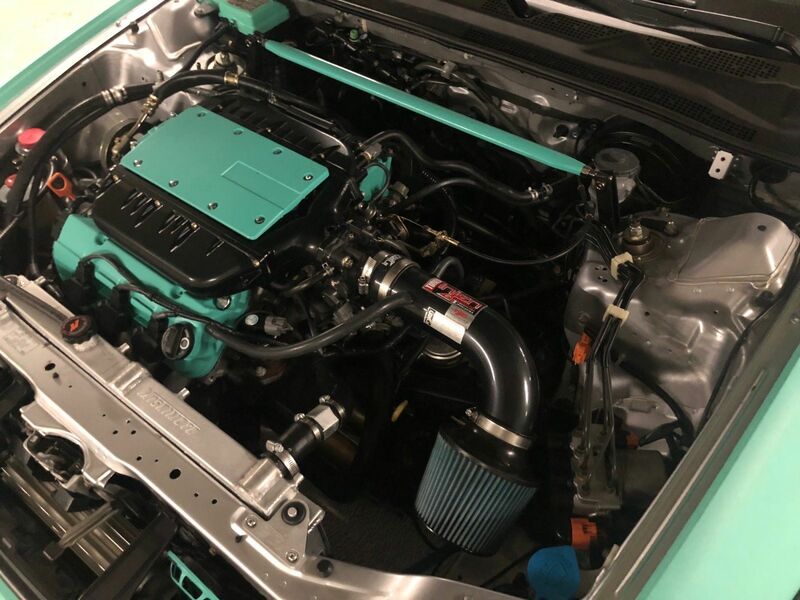 The seller claims the swap passes smog and B.A.R. (Bureau of Automotive Repair) legal. 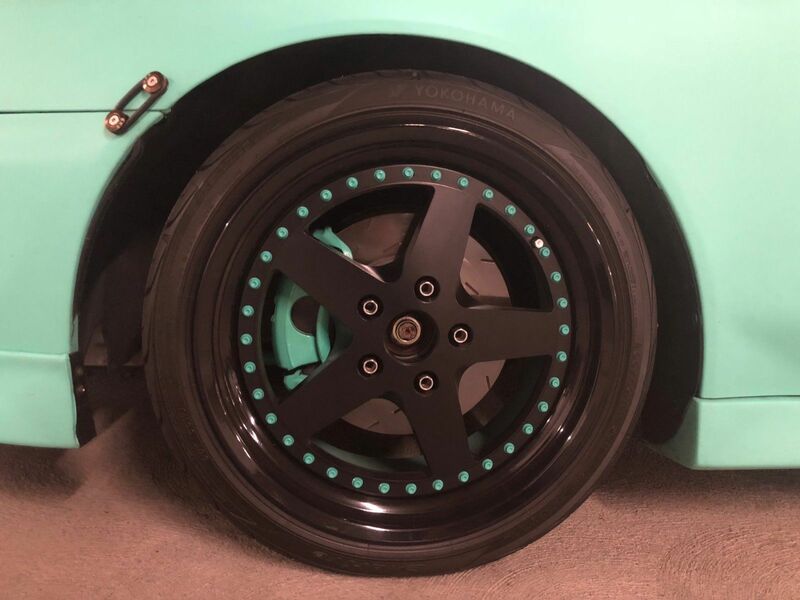 It rides on BC coilovers, Tanebe front/rear strut bars and rear sway bar, and EBC slotted rotors. 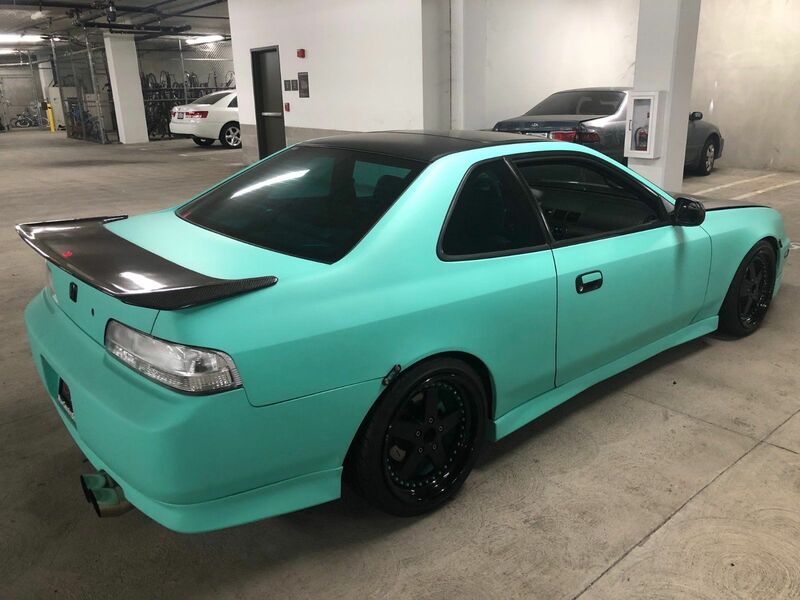 The body features Seibon carbon fiber hood, rear spoiler, and wrapped in Avery Vintage Green vinyl over factory silver paint. All told the seller claims to have over $25K put in the car.